My kids love Legos. Like seriously love Legos. Even as they navigate the tween years, they still choose Legos above almost any other kind of toy. 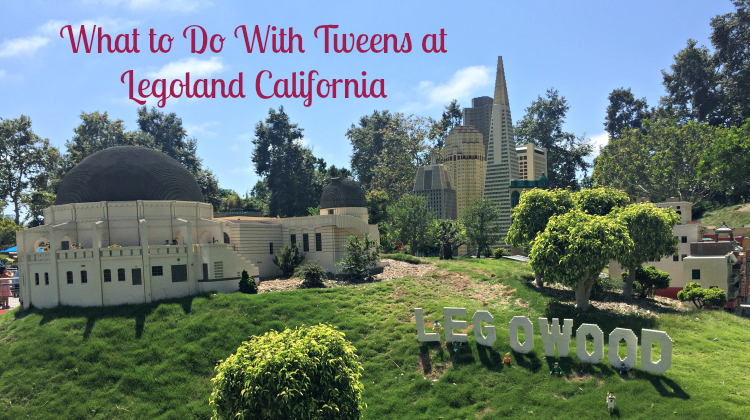 So it might come as no surprise that for them, a trip to Legoland California in Carlsbad is way better than going to Disneyland. Head right after you enter the park. The park is arranged in a giant loop. To the left are rides aimed at toddlers and littler kids. The bigger kid attractions (think coasters, Ninjago World and the 4D movie) are to the right, so that’s where you’ll want to start. 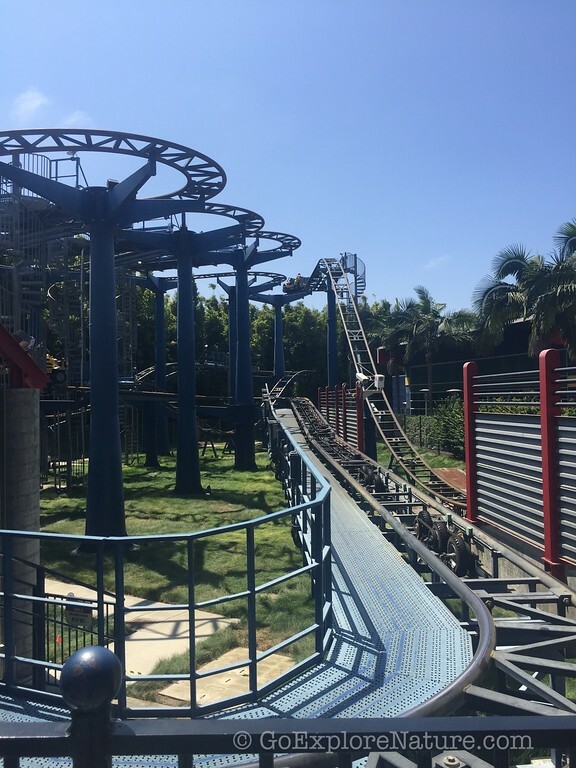 Ride a roller coaster – or two! Don’t miss the Lego Technic Coaster and the nearby Dragon coaster. These two are great because they’re fast enough to thrill the kiddos without going overboard with loops or other scarier stuff. Bonus is that most tweens will no longer need to worry about height restrictions and will get a kick out of riding solo. 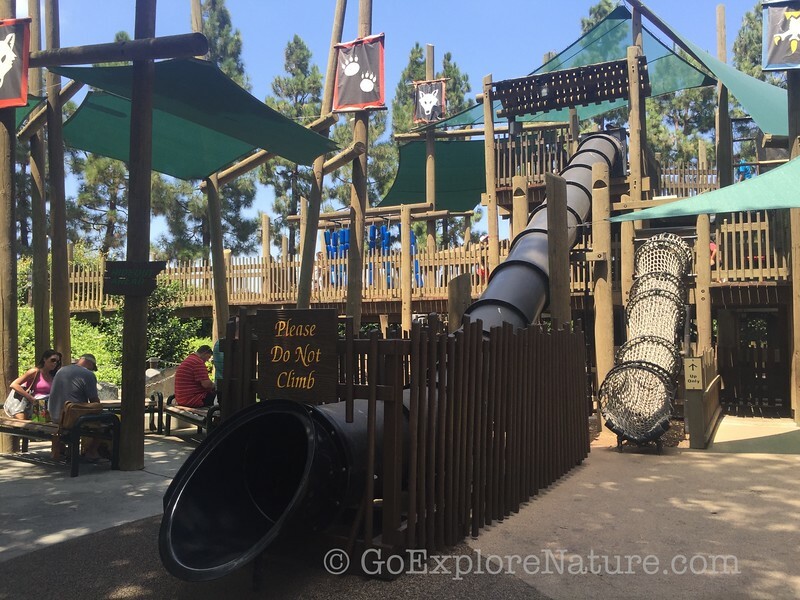 The Hideaways, an enormous play structure where kids can climb up, crawl through, slide down, cross over and swing around on ropes, ladders and tunnels. Pharaoh’s Revenge, where you can fire soft foam balls at targets or siblings. 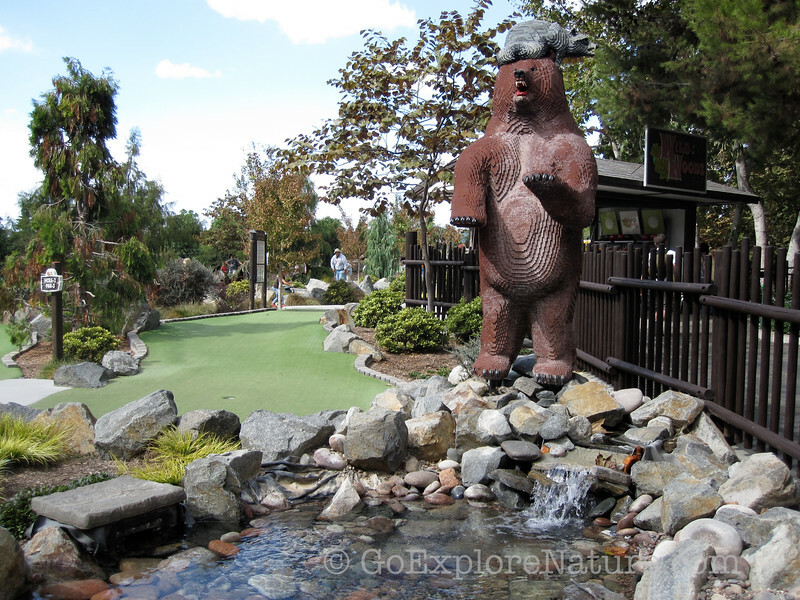 Wild Woods golf, where you can play 18 holes of mini golf amid plenty of creative and colorful Lego creatures. Trade a LEGO Minifigure. Did you know you can bring a minifigure from home and trade it with a Legoland employee? Your minifigure must come complete with a head and body. There’s no limit to the number of times you can trade during your visit, so have fun! Tour Miniland. We can easily spend an hour checking out Miniland USA. 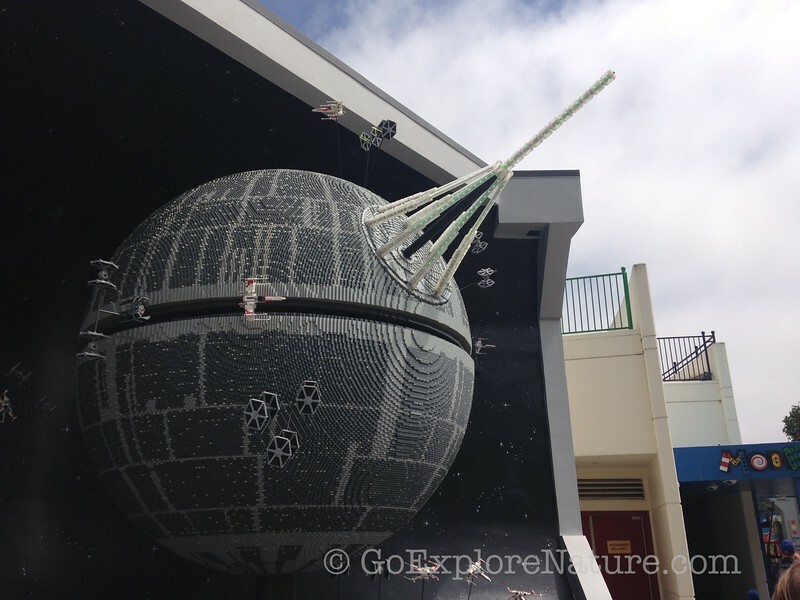 We start by touring the Star Wars scenes, then head over to tour the US – including DC, San Francisco, New York City, New Orleans and Las Vegas. My kids especially love all the details – like the moving parts and sounds – found among these incredible creations. Build something. To love Lego is to love to build. 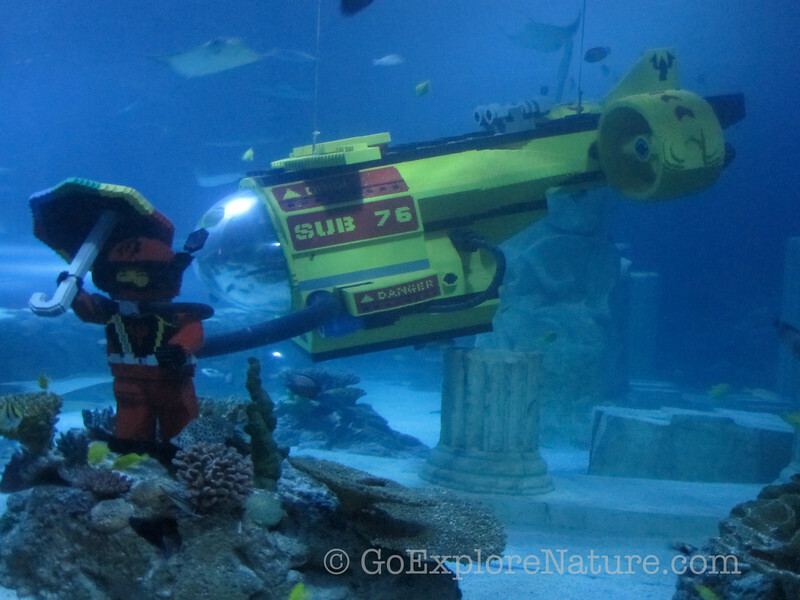 At Legoland, there are lots of ways you can do just that – even if you’re a big kid. 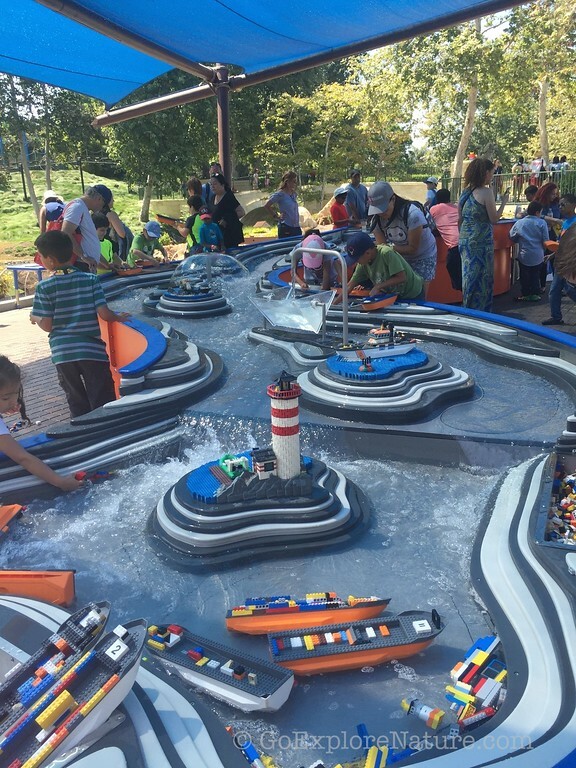 In Miniland USA, you can build a boat, then launch it against fellow racers and watch to see which reaches the end of the waterway first. Get wet! There’s plenty of water fun to be had when the temperatures soar. You can upgrade your Legoland ticket for access to the water park – or simply hang out at Pirate Shores instead. One ride on Pirate Reef is guaranteed to cool you off! 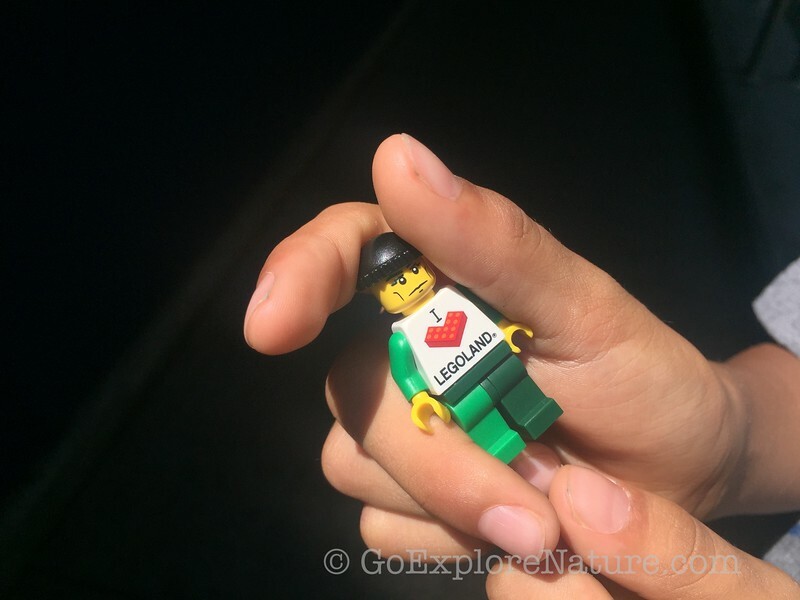 For more on Legoland fun, don’t miss Discovering Nature Play at Legoland. Disclosure: I was provided with two complimentary tickets for the purpose of reviewing Legoland California. No requests were made by Legoland to express any particular views about the resort.